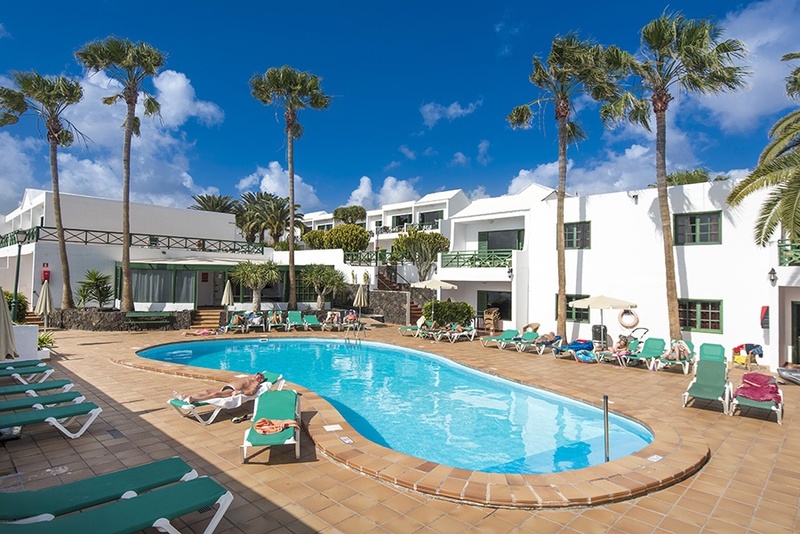 The Rocas Blancas Apartments is a well-known modest apartment complex set in the heart of the resort of Puerto del Carmen across from the sea front. With a huge variety of shops, bars and restaurants on its doorstep it would be considered a lively area. This property’s’ unusual construction means that its apartments are spread out on different levels with the majority accessed by steps. Suitable for couples or friends looking for a value holiday. 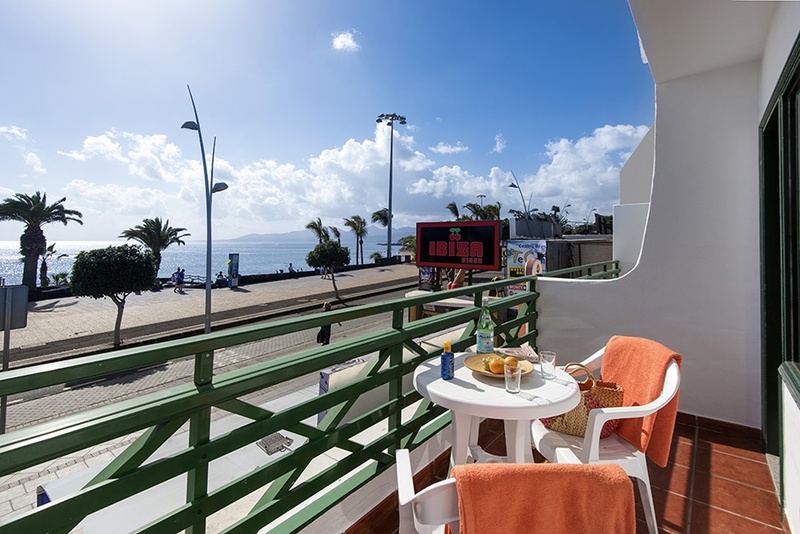 Situated across from the main beach promenade in the centre of all shops, bars and restaurants. Lively location for clients who like to be in the middle of all. One bedroom sleep 3 adults with living area with sofa bed, kitchenette area with two ring hob, fridge, microwave, kettle, toaster, Sat.-TV, safety deposit box*. 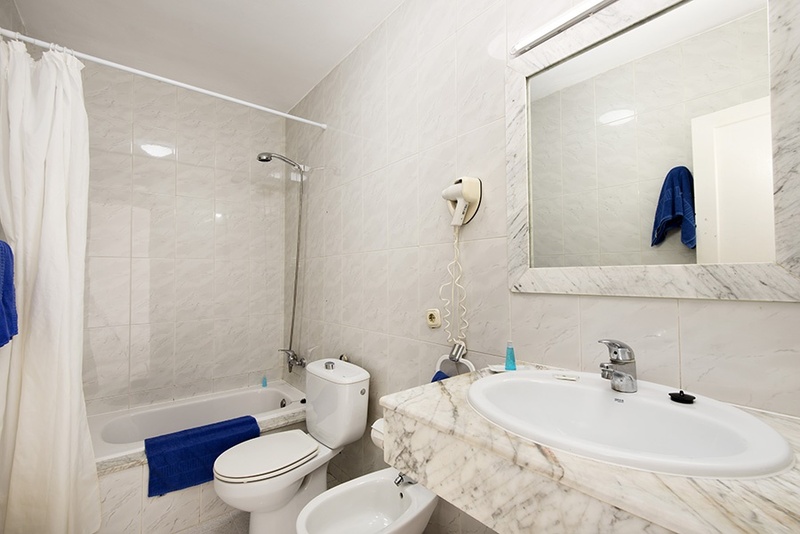 Bathroom with bath/shower. 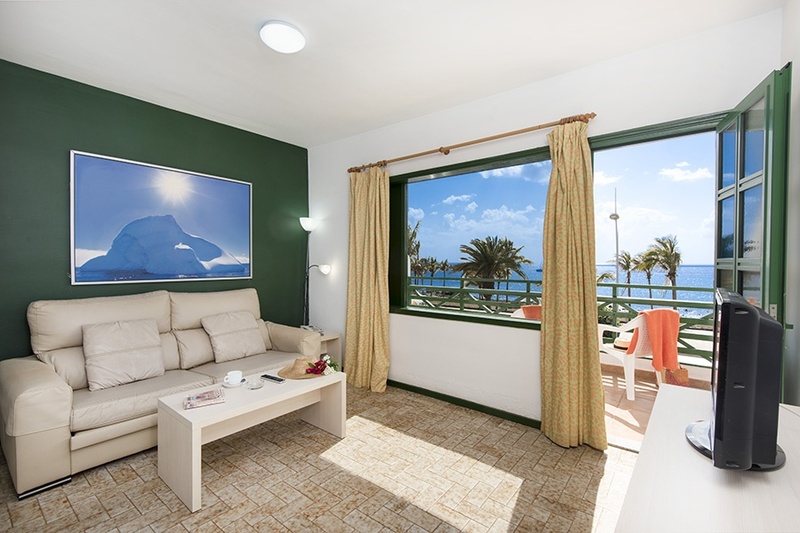 One adult swimming pool • sun bathing terraces • pool bar • mini market • hairdresser* • laundry* Wifi – free of charge in reception area • * = local cost. 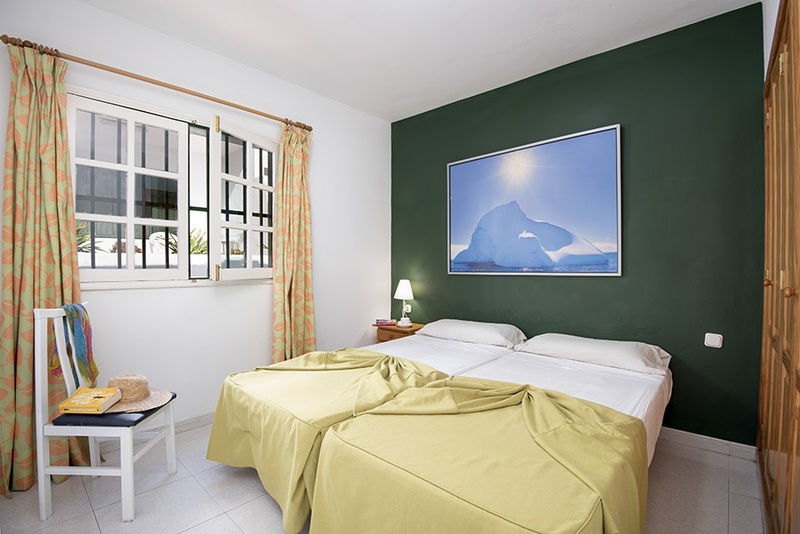 Board basis Self-catering, cleaning every 2 days, towel change 3 times weekly or on request and linen weekly, no of floors – 1 to 3 storey, No of units: 65, No of lifts: None, Official Rating: 2 key.